Overall Condition Very good. Some beads are different colors. Damage/Repair Surface scatches and general wear. Bead Size See picture with penny for size comparison. Strand Length 26 inches (including string/raffia). 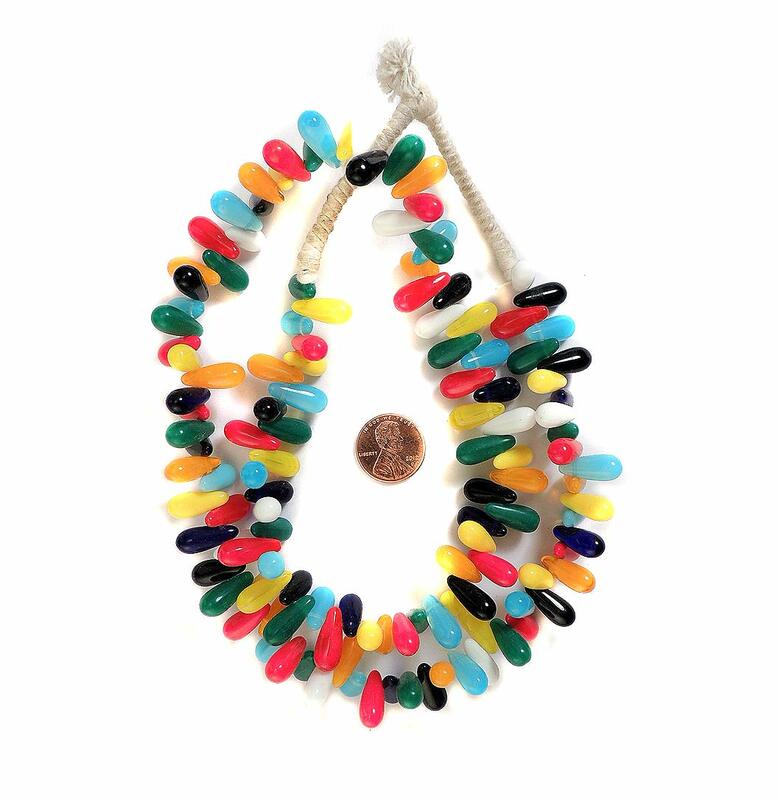 Additional information: "Wedding Beads" were made in the Czech Republic specifically for the African trade in the 1950s and started being exported from Africa to the US and Europe in the 1980s. 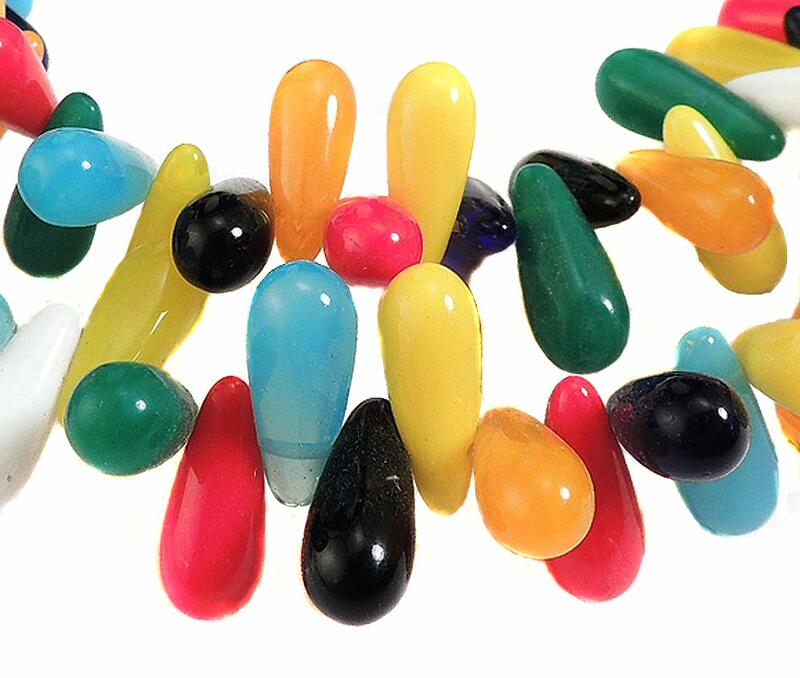 These beads come in several different shapes, colors and patterns. One of the most popular shape is the round tear drop. Another attractive shape is the flat tear drop. "Wedding beads" also were made as flat tabular shapes, stylized claw shapes and other varieties. You can read more about these beads in COLLECTABLE BEADS (Liu) and you can see examples of them being worn in Africa in AFRICA ADORNED (Fisher).